Product development. The original XA model has been complemented with a smaller entry-range XCs, as well as a pimped up, diamond-tweeter equipped XA Diamond. Overall, an almost-full lineup of real speakers in real production. Reviews. A Google search for “Estelon speakers review” goes above 7000 mark already, featuring praising coverage from bloggers and forum goers to established magazines like ToneAudio, HomeTheater, Stereophile, RobbReport and others. And often the pro reviews of this class of equipment is preceeded by months of careful setup, burn-in and continuous listening – so expect more to be on the way. Awards. The XA and XA Diamond have brought home the CES Innovation Award, prestigious in consumer electronics, not once but twice now (2011, 2012) in High Performance Audio category. Bel Canto, MartinLogan, Lawrence Audio and other peers there don’t usually hang out that often with first-year startups, I think. Sales. 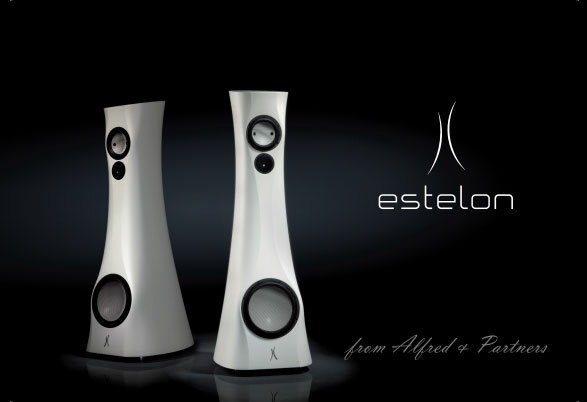 You can today walk into a high-end audio shop, audition and buy a pair of Estelons in a growing list of countries in America, Europe and Asia. And the best part: not only you can, but people do. Making history. This summer, the Estelons were showcased at an exhibition at Estonian Museum of Applied Arts and Design. Another thing more common after 12 years, rather than 12 months in the market. What for me has been just a year of light monthly involvement to date is of course a rise towards the highest peaks for Alfred Vassilkov after his first 25 years as a speaker designer and over 5 years of work on this particular concept. I feel privileged to be along on this journey now and am thrilled to see where Alfred, Alissa and the rest of the team will take us by same time in 2012. And which speakers I can enjoy at home then.